Summer time is full of opportunities to engage in learning! It's a great time to delve into a new novel, advance your professional goals, and help keep children and students on a progressive path of knowledge and intrigue while school is out. 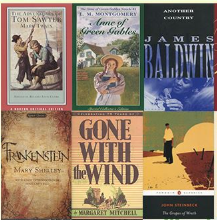 Through a national survey, the public has chosen 100 novels that have stood the test of time and received abundant accolades. It's our job to whittle it down to just one! 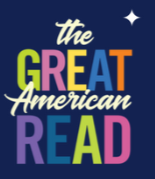 Get involved in The Great American Read today! The Great American Read isn't just for adults. Encourage your teens to grab an age-appropriate book from the top 100 list and engage in hands-on activities. Reading is also a great time for bringing the family and community together! Check out some fun suggestions for making reading a rewarding part of your summer. 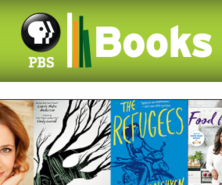 Take a look at PBS Books, an online website full of video clips featuring well-known authors, book ideas for grads and dads, and live streams from book festivals. Get ready for some super summer fun right along with with PBS KIDS. It's easy to turn everyday learning into extraordinary experiences with online games and activities, a downloadable book of adventures, hands-on activities, and helpful tips for families. Come see how MPT's Teaching with Primary Sources Inquiry Kits and student modules can support teaching and learning in your social studies classroom. You will also be the first to hear about our new Case Maker tool that allows students to make evidence-based arguments for civics-themed projects. Join MPT at the Elkton library for a special Great American Read event. You will have the opportunity to appear on camera and talk about your favorite book, participate in an interactive voting activity, win door prizes and giveaways, explore the library, and make new connections.